Mad Rock Haywire. Voodoo. For Feet. 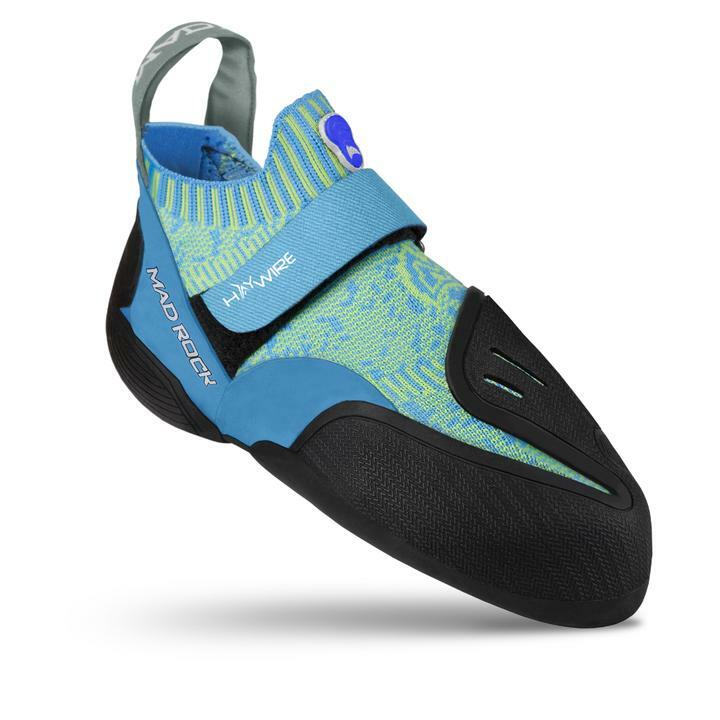 Behold the “future of climbing shoes” and winner of the footwear category in the Outdoor Awards at the at the Outdoor Friedrichshafen show. Mad Rock isn't a manufacturer to play it safe and at first look these shoes remind me of the kind of mittens you used to wear with a string between them because mum was sure you'd lose them at the first opportunity otherwise. They might look like kindergarten knitwear, but oh do the PushPeeps love them. Love them long time as it happens. Previous Rocktober winner Ben Grey has been cuddling up to his for ages. en is far from alone in his enthusiasm. Push's very own Paul Massad is transported at the mention of the Haywire and actually gets a bit gooey about the unboxing. I have a mental image of Yulya's face as Paul gets excited about a box but it turns out that childlike enthusiasm only increases when the shoes hit the wall. It doesn't sound much like Ben and Paul would lend these shoes out anyway, it sounds more like you'd have to prise them from their cold, dead hands. Or buy your own pair of course. Pros: Great fit, easy break in , no dead spaces. Added voodoo. Make strong men curiously excited. Cons: inconsistent tension of the straps, flexible mesh tends to expand at the ankle like a sock.